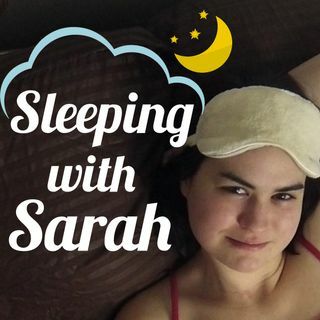 Sleeping with Sarah is back! Sarah had a great interview with comedian Rachel LaForce. They talked about navigating LA, getting started with Second City, the pilot process, the importance of language, narcolepsy, dating, and more! Follow Rachel on Instagram @RachelLaForce and check out her website for upcoming dates. Mentioned: Light is the New Black by Rebecca Cambell Ali Wong - The Structure of Stand Up Comedy by The Pudding Sleeping with Sarah is a podcast where comedian and narcoleptic, ... See More Sarah Albritton interviews people in her bed. They talk about sleep, comedy, and relationships. Visit www.sleepingwithsarah.com for more information. You can follow Sarah on Instagram @sarahalbritton & Twitter:@sarahalbritton or visit her at www.sarahalbritton.com To find out more about Super Narcoleptic Girl, please follow on Twitter @SNGWebSeries & Instagram or visit the SNG Website.